empowered by serving our community. Our focus is to consult and advocate for your best interests. We are a team who will give you valuable advice and the best strategic approach to help you make the most informed and realistic decision for you and your family. "I strongly recommend David Yun's services...he possesses a great analytical mind and is an outstanding, professional, hard working, efficient, diligent, responsive broker. David and his colleague May-Ann were instrumental in helping us sell our Santa Monica home. They did an excellent job preparing it for sale, staging it, answering our questions and keeping us infomred, generating immense interest in the property, securing multiple offers, and quickly and effectively getting us through the entire process quickly and painlessly. David and May-Ann guided us through every step and were consistently supportive. We were thrilled with their performance, we would happily hire them again, and we recommend them to everyone, with enthusiasm.Gary W. I strongly recommend David Yun's services...he possesses a great analytical mind and is an outstanding, professional, hard working, efficient, diligent, responsive broker. David and his colleague May-Ann were instrumental in helping us sell our Santa Monica home. They did an excellent job preparing it for sale, staging it, answering our questions and keeping us infomred, generating immense interest in the property, securing multiple offers, and quickly and effectively getting us through the entire process quickly and painlessly. David and May-Ann guided us through every step and were consistently supportive. We were thrilled with their performance, we would happily hire them again, and we recommend them to everyone, with enthusiasm." "It was not easy finding the right home in this market. Nonetheless, May-Ann worked tirelessly in helping us do so. She was extremely patient considering how long it took us to finally find something suitable and affordable. May-Ann is knowledgeable about the market and great at negotiating on her clients' behalf. She met us on weekends and evenings when we had availability. And even with such demand as clients, she remained poised, patient and kind, which made it a pleasure working with her. We would recommend her to anyone looking to buy or sell!" "David and May-Ann are fantastic! They were super patient with us through our 8 month process of finding out house. They helped us through five bids, including walking away from a home that simply wasn't right, and were supportive and helpful the entire time. Once we finally won a bid, they worked tirelessly to negotiate the terms that we wanted, and were always incredibly responsive, and assured us throughout the process as we were new to buying a home. I'd recommend them to anyone!" "My wife and I used David and his team to purchase our first home in West LA. David was very patient with us, answered questions until we were satisfied, and most importantly was able to negotiate a deal for us in a very competitive market to get the place we wanted. Even though we weren't David's most lucrative client, he always made us feel like we were. David also never pressured us to make an offer on something we didn't want, showing us that he would be willing to work with us for months and even a year to ensure we got the place we wanted. I would highly recommend giving David a chance to represent you as a buyer or seller as he will negotiate well to get you into the property you want and will guide you through this process as if you're his top client. We appreciated having David by our side when going through the buying process." "Does this guy sleep?! I have to say that David takes customer service to another level. He and his team's response time is absolutely impressive. I'm a business woman and you know what response time tells me? It tells me that they care about keeping my business. Because of my busy schedule, David and his team customized my searches and sent me an email with new listings every couple of days (in addition to my automated searches) just to make sure I wasn't missing out on opportunities. They found me a beautiful property in Playa, and I am so so so happy. Thank you David and May-Ann. You are amazing and I recommend you to everyone!" "David is an investment guy and helped me find my first multi-unit building. It's a ton of number crunching, but I trusted his professional opinion based on the success of his own personal investment history. All units are rented out and I take a lot of pride in my ownership. Hands down, use David. " "May-Ann and her team are absolute professionals- knowledgeable, relatable and kind. She listed our family's second home and got us top dollar after receiving multiple offers. List price does matter and we left it up to the professional! She held our hand through the process and was always responsive. We couldn't have asked for a better experience, and as bitter sweet as that experience was, we are happy to have closed that chapter and be relocated elsewhere. Highly recommend her!"  Sign up for the Eighty8 Update, our newsletter filled with smart real estate tips, investment advice, new properties and more. We're a pay-it-forward real estate team. A percentage of our time and commission goes back to bettering the communities in which we live and work.